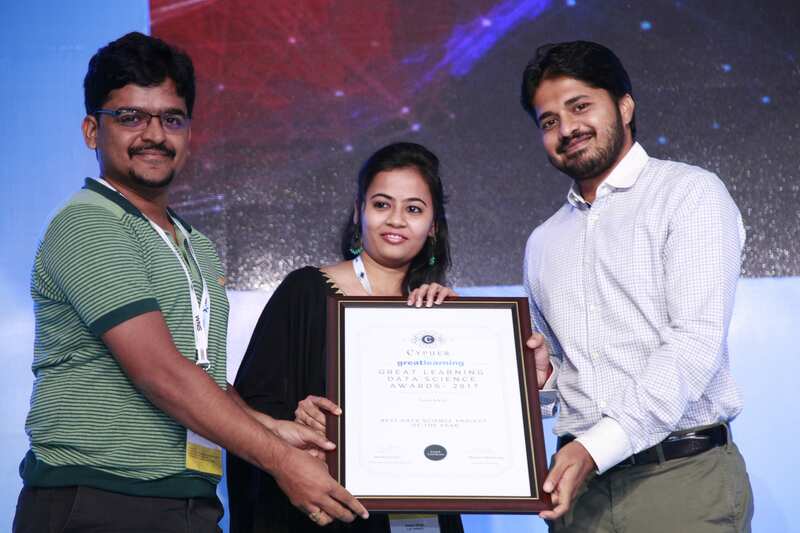 The second edition of Great Learning Data Science Awards concluded with much aplomb at the recently concluded Cypher 2017, which was the third year of its successful running as the largest analytics summit in India. The awards were brought in association with Great Lakes Institute of Management, and recognised the achievers in the analytics space. Presented to companies in five different categories, Great Learning Data Science Awards saw participation from leading organisations as well as startups from the analytics industry. The five categories were Emerging Analytics Services startup of the year, Emerging Analytics Product Startup of the year, Best Boutique Analytics firm of the year, Best Data Science Project of the year and Best Big Data Implementation of the year, which identified the best in industry and recognised their stellar achievements in this space. 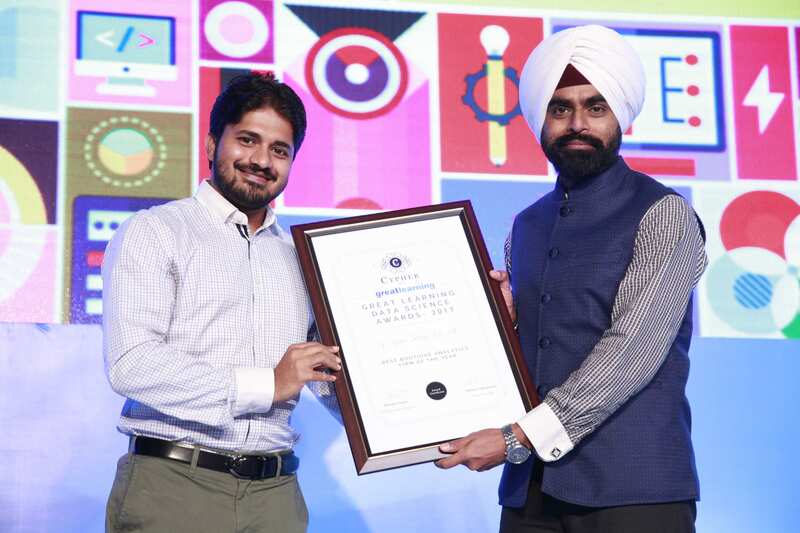 “Great Learning Data Science awards was instituted to recognise and reward the exciting work being done by various companies in the space of Analytics and Data Science. 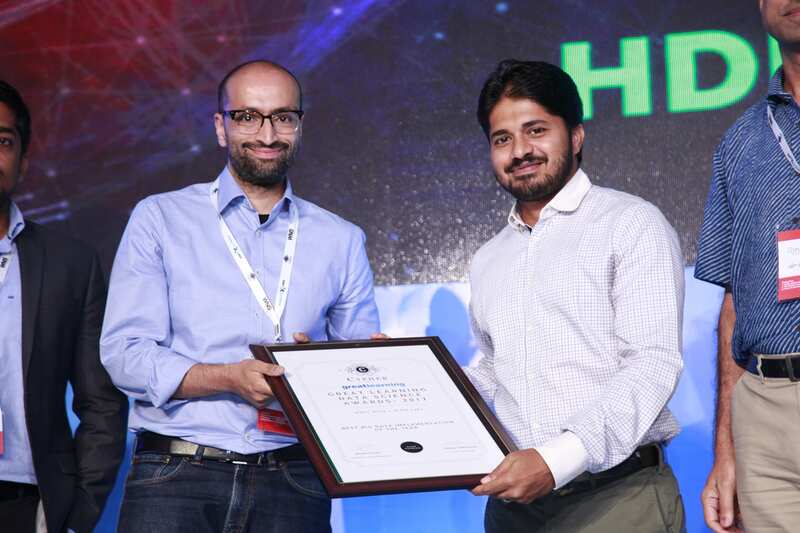 We are delighted to have presented the second edition of Great Learning Data Science awards at Cypher 2017”, said Hari Krishnan Nair, Co-Founder, Great Learning. He further added “This year, we saw an increase in the number of applications. Also it was amazing to see the diversity in terms of companies that applied. We had established banks like HDFC, Kotak and Yes Bank with their nominations as well some very exciting startups like Touckin, Tiger Analytics, 3LOQ etc. We also received applications from leading technology companies like Ericsson and Dell. It was great to see the exciting work happening in adoption of analytics and big data technologies across industries like Banking, Telecom, Healthcare, e-Commerce and FMCG. We congratulate all the winners and also the companies who sent in their nominations”. Bhasker Gupta, CEO and Founder, Analytics India Magazine said “The response from established companies as well as startups was overwhelming. Great Learning Data Science Awards, which was initiated last year, has set a benchmark in the analytics space and we look forward to grace more players in this space year after year”. Under the award category Best Boutique Analytics Firm of the year, Tiger Analytics and G Square emerged as clear winners. Tiger Analytics, an analytics and data science consulting partner offers portfolio of services such as advanced analytics, predictive analytics, machine learning, visualisation etc., while G-Square provides plug and play products in the analytics, machine learning and big data space. “The new wave of analytics solutions are blending signals from disparate and unstructured sources — the latest technologies and algorithms are helping us achieve what was hitherto not possible. As a company whose foundation lies in this new wave of analytics, we are thankful to Analytics India Magazine for this wonderful recognition”, said Pradeep Gulipalli, Co-Founder, Tiger Analytics. 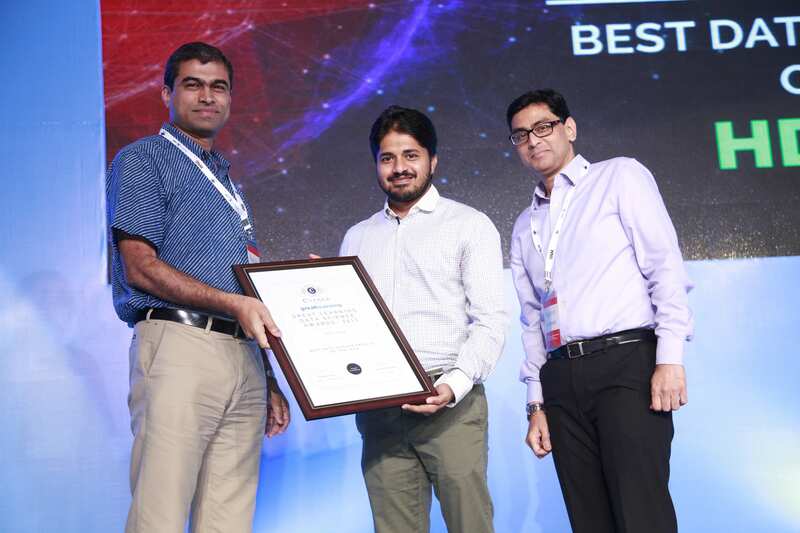 In the next category of Best Big Data Implementation of the year, the winners were Clairvoyant India Pvt Ltd., a global technology consulting and services company and HDFC + 3LOQ Labs, who had the joined nomination. 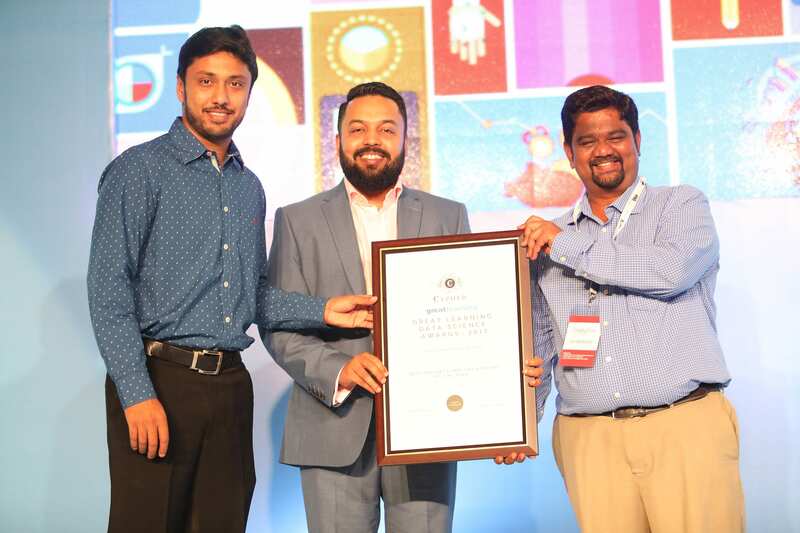 “It is a great honour to be recognized by Cypher for “Best big data implementation of the year” and it is truly rewarding for all the hard work our teams have put in over the last one year. Our commitment to reliable, high-quality solutions to help solve challenging big data problems for our customers has been a true differentiator. It has enabled our continued growth, success at Clairvoyant”, said Shantanu Mirajkar, Co-Founder, CTO, Clairvoyant India. Whereas Anirudh Shah, Founder, 3LOG Labs said “It’s always a great pleasure to find ourselves among like-minded professionals and experts in the field. 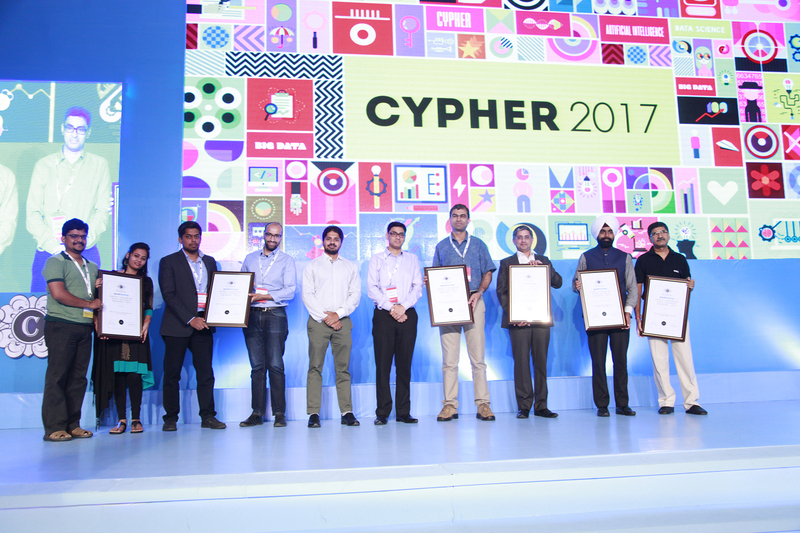 But winning The Great Learning awards has made being a part of Cypher 2017 that much more special. It’s been hugely motivating for the team and we’ll keep pressing forward with the work we’re doing for Habitual AI.” Habitual AI by 3LOQ Labs is a result of a year of honing machine-learning algorithms with data about customer habits and consumer psychology. Blueocean Market Intelligence and Scienaptic Systems were the winners in the category Emerging Analytics Product Startup of the year, while the Best Data Science Project of the year was awarded again to HDFC Bank + 3LOQ Labs in joint collaboration, whereas Dell and Touchkin, were the other winners. 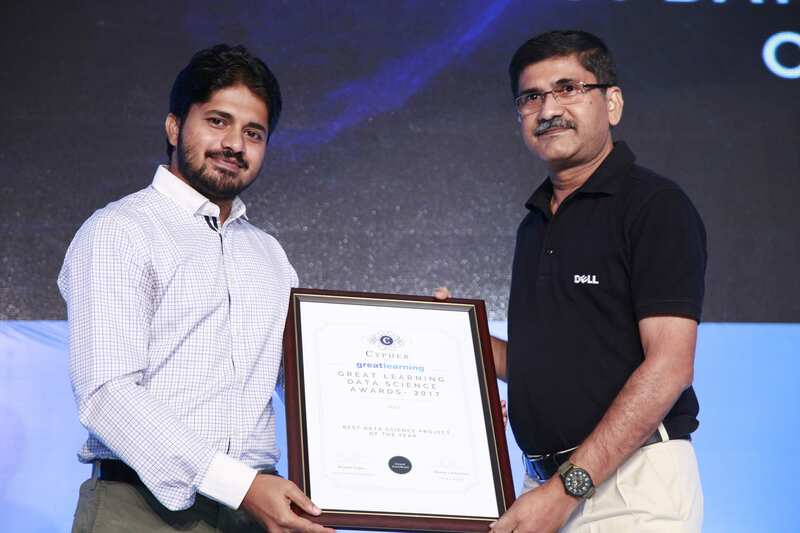 The project by Dell was submitted by the Performance Analytics Group (PAG) at Dell EMC, while HDFC+3LOQ Labs’ first of its kind Analytics Automation Architecture led them to win the award. Touchkin on the other hand offers world’s first AI-enabled coach and chat platform for mental and behavioural health support. Shantanu Mirajkar and Josh Vedam Co-Founders, Clairvoyant India. “This project was truly unique. Diabetes related distress is known to be a lead indicator for lack of adherence, future complications and poor glycemic control. Currently, this is very hard to assess and takes time and effort through face-to-face conversation. With mobile passive sensing, we can quickly, proactively and non-intrusively identify high-risk patients for triage and intervention which leads to a large improvement in clinical outcomes and large savings for the provider. 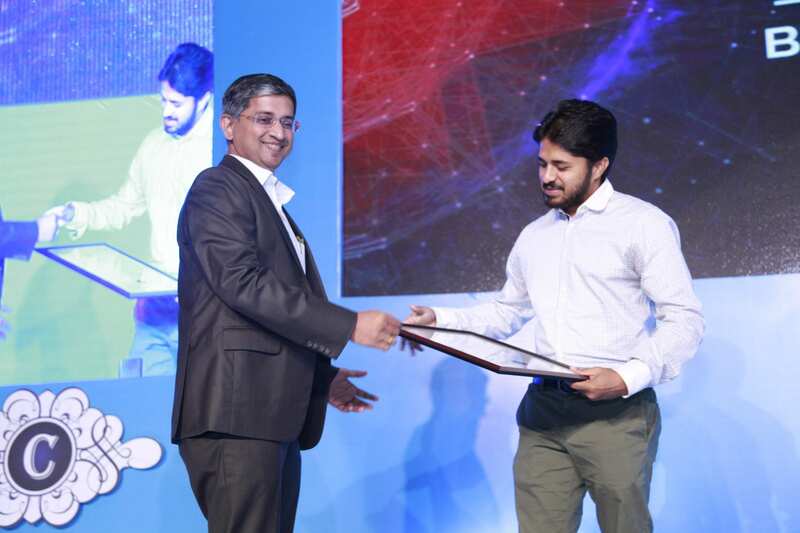 The team handled many real-world challenges on data acquisition, preparation and interpretation and built a robust model that is now being used on a daily basis by one of India’s largest healthcare companies”, said Ramakant Vempati, Co Founder, Wysa-Touchkin. “Cypher has provided excellent platform for data science professionals across sectors to come together and benefit from each others’ experiences, success stories and expertise. 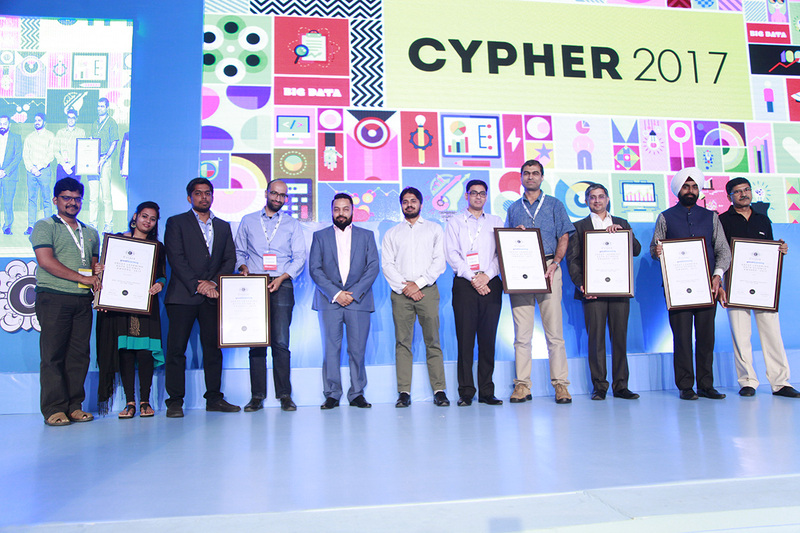 Being enlightened with new innovative stuff in data science industry through the platform provided by Cypher was more rewarding than the award itself! The awards event provides a great opportunity to companies to showcase the great work being done in the field of analytics and inspires participants to raise the bar for the next edition!”, said Kaushik Ghate, Senior Vice President – Head Marketing Analytics, HDFC on a concluding note.